With so many conflicting opinions out there, how do you know what the truth really is? How do you know what to align yourself with? In this holographic matrix everyone is running their own program, so to speak, based on their own belief systems, parallel life programming and experiences, and soul group vibration. No one on the planet is experiencing things the exact same way. The key is to find people that have a close resonance in frequency when looking outside of yourself for confirmation I order to find your own truth. The body has a way of accepting the truth or rejecting the truth based on clues. Some people have internal “chills” when they hear or read something that has a high vibrational truth to it. Others are able to use muscle testing or divination. Things that do not resonate will make you realize there is just something that doesn’t feel right. You may even feel a bad churning in the pit of your stomach. Another red flag is when someone gives absolutes that something is one way only. Although people may mean well, and want to share their own truth, just the mere fact that no one person has the same truth on this third dimensional level is questionable. The one truth that all people hold on a soul level is that we are all from the same Source and we will all return to that Source through an individual path connected by a collective consciousness that matches out vibration at each level on our journey. 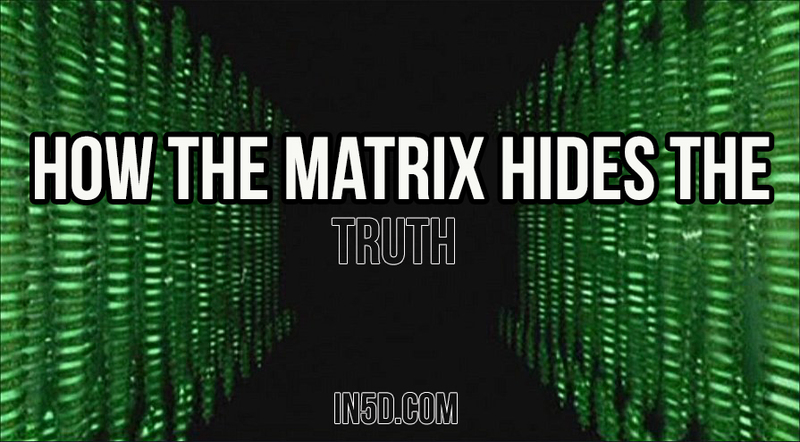 As the third dimensional matrix dissolves and the consciousness of humans aligns with a multidimensional frequency, the truth will begin to be more easily accessed within. About the author: Michelle Walling, CHLC is a Holistic Life Coach, international public speaker, writer, webmaster, and radio show host. In 2013, Michelle started her public career as a spiritual, metaphysical, and esoteric guest writer for In5d.com and bodymindsoulspirit.com. Michelle is the webmaster for five websites including MichelleWalling.com, cosmicstarseeds.com, thestarchildren.net, and howtoexitthematrix.com. Michelle is the host of In5d’s Cosmic Awakening Show. Her personal Facebook page can be found here.